Music Video: The plot for the music video was quite straightforward actually, with the Infinite members fighting the bad guys (I’m calling them bad guys 😡 haha) who have kidnapped the girl. This is the part I’m not sure about (because as you guys could probably tell by my other posts, I’m a very clueless person, especially when it comes to music video plots), as I’m guessing that the girl is like a little sister to the members….right? 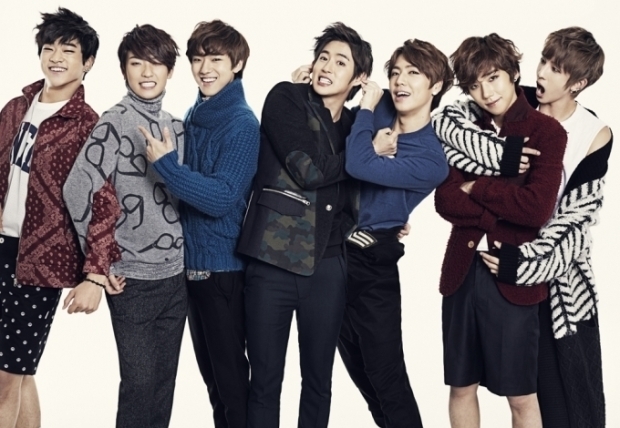 As for the members themselves, they look so fashionable for a fight, but hey, no complaints on how good they look. 😉 That one guy (sorry I don’t know all their names 😦 I’m terrible at memorizing members’ names so I apologize hehe) that’s ready to fight with the umbrella though haha! Nah, but joking aside, hm, I’m sensing a continuation of the plot from Back with a future video… especially after that ending, right? That should totally be a thing if they aren’t planning it already. 😀 Anyways, although the video wasn’t the most unique of concepts, I certainly was interested whilst watching it. What did you guys think of it? So, would I download this song? Yes, I would! 😀 Hope you guys enjoyed this post and have an awesome week! How have you all been doing? 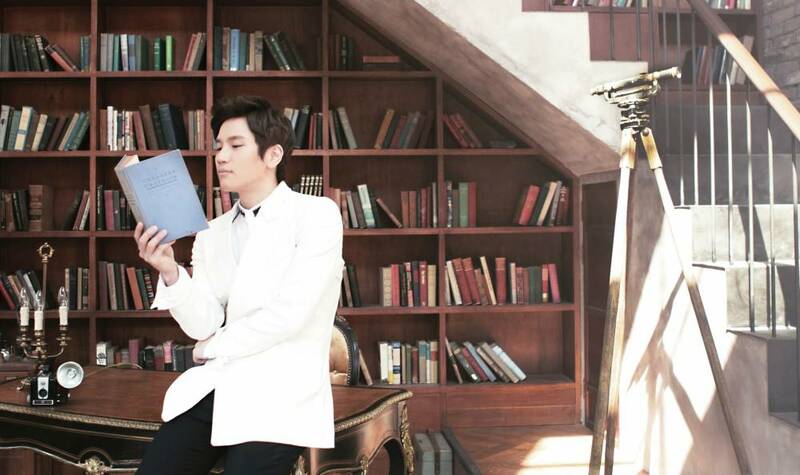 I’ve been obsessed about soccer player Song Heung Min (I mean, it is the World Cup and he is so adorable), but today I am not here to talk about cute soccer players (although that does sound like fun :P), and instead, I’ll be talking about K. Will’s Day 1! I was originally planning on talking about a different release, but after watching this music video, I really wanted to mention this one first. 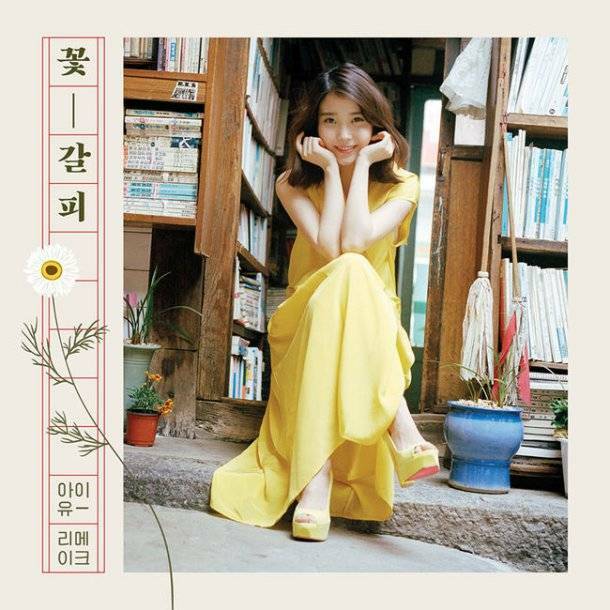 As a fan of K. Will, I’m excited to talk about this release! Image taken from askkpop.com. All rights go to the respective owners! Song: I’m absolutely adoring it! His voice never fails to amaze me (and melt my heart :3) and this is the case for this song as well. The lyrics were really cute (they made me smile hehe) but my favorite lines had to be “I’m the most good-looking out of the worst”, which is how I would roughly translate it to from Korean because not only does it have that sweet element, it also has humor. I’m loving the beat (and the guitar part) as well as the super catchy chorus. The song has a great balance between an amazingly sweet voice, adorable lyrics, and really nice instrumentation. I love this song; K. Will is amazing at conveying romance/love songs, and I think this definitely supports my claim. 😉 I’ll definitely be bobbing my head and happily singing along to Day 1! Overall, I’m loving the song and video and kudos to K. Will because he’s delivered yet another awesome video to go along with his great title track! I have already downloaded the song (the whole album, really and will definitely be checking it out soon). 🙂 How did you guys feel about Day 1? Let me know! Oh, and don’t forget to check out this adorable live performance of the song! Have a great weekend! Welcome back to It’s Time to K-Pop! ❤ Today I will be talking about Good Luck by Beast! I’ve already talked about No More, their other music video release, so go check that out as well if you’re feeling bored. :3 Because I’ve already ‘introduced’ them (so to speak) a few days ago, I won’t be doing that in this post (I wouldn’t want it to be repetitive :P) so let’s get to the release! Overall, I really like Beast’s comeback! 😀 The song and video both are great, and definitely show off a sophistication or allure (in a way) that is very particular to this group. I was once a huge fan of them (not saying that I’m not a fan now, but rather, toned down in intensity 😉 ) and this song definitely brings out the great qualities of the group. What did you think about this release? I’d love to know! Remember me? Haha, but really… I’m finally back! I’m sorry for the absence and it feels much longer than 10 days since I’ve posted 😦 (probably because I missed you guys :3) If you read my previous post, I explained that I was going to be a bit busy, but I really do apologize for not being able to keep the blog updated with new posts! I feel like there were so many new releases while I was gone (To be fair, there were more than usual haha) and in order to make up for all the videos I missed, I’ll still be talking about those and work my way up until I catch up! Hopefully this will mean that I won’t miss any videos I wanted to mention and I promise to be much more active now! Oh by the way, this is my 50th post! :’) I can’t believe it’s already been that many (It’s been a less than 2 months since I started my blog :D)! Thank you so much to everyone who has been reading! ❤ You guys are amazing! 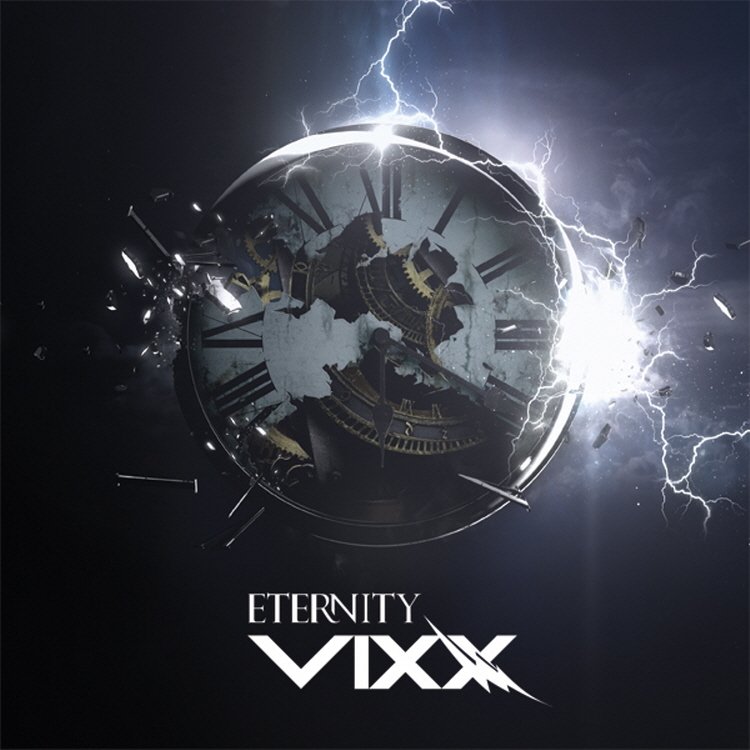 Anyways, the first one on my “to talk about” list, which will be the one I’m mentioning now, is VIXX’s Eternity! Image taken from kwavehouse.com. All rights go to the respective owners! VIXX is a group under Jellyfish Entertainment, and they debuted in 2012. The 6 members are N, Leo, Ken, Ravi, Hyuk, and Hong Bin. Fun fact: all members were chosen in an elimination system with viewers’ votes in Mnet’s reality show MyDOL. Music Video: The first thing that stood out to me was the choreography! It was really sophisticated and cool (and that body roll though haha :3). You can see it more clearly in this dance version of their music video! They have lots of really awesome moments and it looks great overall! As for the video, the plot made sense to me (although I get confused a lot) and is interesting to watch (in its own way, I guess) and all the sets were really cool, along with all the details they put into it. I’ve realized that music video directors really like clocks or clock towers in the background of their music videos, but I mean, it still looks good! I love the lights from the ceiling, and the way they use different scenes one after another rapidly during the dance part (does that make sense? :O) – it was a lot more interesting to watch. Overall, it was a cool video! I’m back with another post and that happens to be IU’s My Old Story! Yes, I know it has been quite a while since it was released (Actually, almost a week now which seems a little long for me), and although she has already released another music video, I really wanted to talk about this one so here it (finally) is! 😀 There are a lot of releases happening the rest of this month (and probably for June), and I’m not keeping up with them as consistently as I would like to, but I’ve been a little bit busier than usual. Sorry about that! :S Enough of that, though, let’s talk about IU! Hi guys! 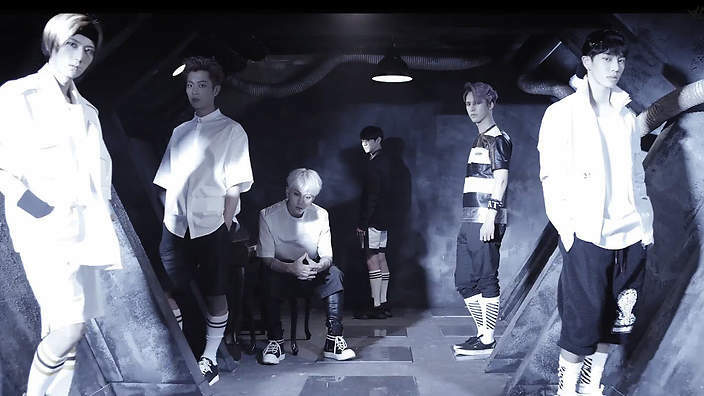 It’s time for another Talking about, and today’s post will be on the new debut release by BTL, called Too-G! There has been a flood of music videos lately and I’m not keeping up as consistently as I would want to be with those, so I apologize about that and I’ll try to mention as many of them as I can! 😀 I’m trying to go by chronological order and BTL was next on my list (hence, why I’m talking about them now!) I wanted to mention them, despite the fact that I’m not too familiar with them, because I want to see from what point they’ve started, and to what point they progressed later (Is that weird?). Okay, done with the rambling, let’s get to it! I said I’d be done with the rambling, but I actually do have some other things to talk about, hehe. 🙂 I was reading the comments of the music video (as I tend to do, because I like reading other people’s opinions) and I noticed that there was a lot of disagreement, fighting, varied opinions, and comparisons with other groups going on. I hope my opinions don’t offend anyone, as these are obviously not my intentions, and that we can, instead of fighting, discuss it together 😀 Haha, but anyways, now let’s go to talking about the song! Song: At first, I wasn’t really sure of my opinions about it and I didn’t really know if I liked it or not, but by the second listen I definitely began to appreciate it more. There is an overall very powerful, strong style to it and I guess this was a little difficult for me to approach at first. What really amazed me, however, was how powerful and amazing their vocals were, especially in the (very) high notes, not to mention that their voices weren’t overpowered by the loud, strong instrumentation. It has a slightly catchy chorus, and overall it’s a very interesting song! One little detail that I dislike is the rap part that comes in 2:28, not because it’s not cool, (I actually do like it as a part by itself), but I just don’t think it’s fitting to the powerfulness the song was building up before, or just the melody itself, but that’s only my opinion. It’s a cool song and their singing was definitely the highlight for me. What did you guys think? Let me know! I’m here today to talk about JungGiGo’s Want U, which was released yesterday! 😀 It always feels when I’m doing an introduction because they used to ramble a lot, but now I don’t know what to say here, but I still feel like I need some sort of an introduction, so what do you guys think about the posts? Are you excited for the many comebacks to happen soon? Let me know! JungGiGo is an artist under Starship Entertainment, and he debuted in 2008. He was born on September 5th, 1980 which surprised me because he’s 34 years old! :O I swear he doesn’t look like this! But anyways, many of you might know him already from his collaboration with Soyou from Sistar (called Some, which I’ve mentioned in a few other posts), but today’s post will talk about his new song! Song: First thing that stood out from the song was JungGiGo’s amazingly soothing voice! I noticed this already in Some (and I didn’t really know him before that, hehe), but his voice is so very smooth and I love this about this trait about the song as well. I don’t know if you guys have picked up on my music taste already, but this is definitely the type of song I like. Seriously though, his singing is so nice and I can’t get enough of it! I really like the instrumentation, and most particularly the guitar riffs. This is a groovy song that I personally did enjoy! Beenzino’s rap is awesome once again, and the two went well together! I feel like this is one of those songs that will grow on me until I’m addicted (like Some was) and I am slowly liking it progressively more as I listen to it more. It’s definitely not the overpowering or super upbeat, loud type of song, so keep that in mind too! Overall, it was a nice song and okay video! 🙂 Would I download the song? Yep! 😀 What do you guys think? Let me know in the comments! I’m really sorry this post is so short (I guess I didn’t have as much rambling as I always do). 😛 I hope you had a great Friday and I’ll see you guys in my next post! How have you all been? 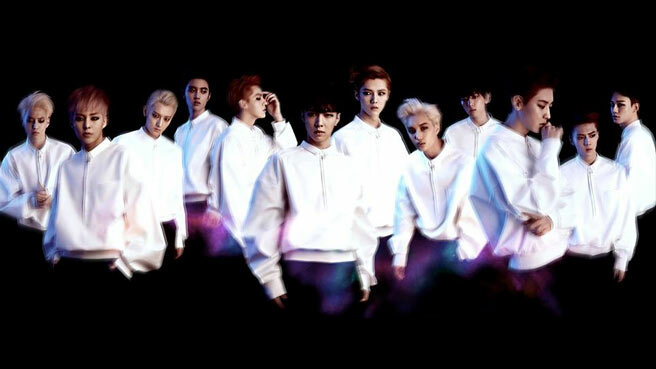 In case you missed the news, Exo released their (highly anticipated) comeback Overdose today! Today I’ll be talking about the Exo-K version, instead of the Exo-M version, but you can check out the latter here! What did I think about this new release? Keep reading to find out! Image taken from kashigasa.com. All rights go to the respective owners! Exo is a group formed under SM Entertainment with 12 members, and they released their debut single in 2012. They are divided into the subunits Exo-K and Exo-M. The members consist of Suho, Baekhyun, Chanyeol, D.O., Kai, Sehun, Xiumin, Luhan, Kris, Lay, Chen, and Tao. A little disclaimer before I get into the actual talking: I know how big Exo is and how many fans they have, so I just wanted to make it clear that all these opinions in this post (emphasis on the word opinions) are my own, and my intentions are not to offend or hate on anyone with this post, or any of my other ones! Please don’t take my opinions too seriously, and don’t be upset at anything I say! 🙂 I’m a bit worried that I’m talking about this release pretty early on, but I hope you guys understand! ❤ Okay, now that I got that out of the way, let’s actually get started! Song: What an awesome song! The first impression I got was that it’s powerful, and very detailed! (Does that make sense? :P) I don’t really know the right words to describe it, so I’ll try my best to be as eloquent as possible. I will say this though – they had a lot of little cool details and sounds that they incorporated in the song, and although I initially thought these things would overpower their singing, this didn’t happen at all, which amazed me! Their singing was awesome and the song is super catchy! I really like the chorus part especially, and I couldn’t help but want to sing along (or hum really) as well. I don’t think this is the right expression, but they have this strong, full sound that I personally really like. It’s the type of the song that had a lasting impact and was memorable to me. Not going to say much more, but it’s great and I love it! Music Video: As for the music video, I’ll say that it was, in general, pretty cool! SM loves their large, oddly lighted rooms, but it was interesting to watch because it was really dramatic, yet captivating, and this is true especially for the dances. Speaking of their choreography, it was so creative and pretty epic in general! I loved so many things about it, like the drumming on the head as an example, and they were so well synchronized with each other! I mentioned Exo’s dance already in another post (Top 5 Dances one), and while I was already impressed with them then, I am even more so now! I can’t wait to see the live performances! Okay, getting back to the subject of the video, I was mesmerized by their dancing, and how precise, yet in sync, and fitting the dance moves were with the song. It made the video really entertaining to watch, and it kept me enticed during the whole duration of the video! I do have a few things I disliked and they are minor considering the video in a larger scheme, but I thought I’d mention it anyways. The first thing is the zooming (or warping, I can’t really tell) effect that happens often in the video, usually coordinated with their movement. At first, it didn’t bother me much, but as it got repetitive, it, personally, annoyed me, especially because it kind of threw me off, and disrupted my focus on the super cool dance routine. 😛 Another thing was the (overly) flashy lights that, similar to what I said about the other effect, were quite distracting. Other than that though, I loved the pass off of the camera (as I noted in the Growl dance practice video as well), and I was really impressed overall! Welcome back to It’s Time to K-Pop! I feel like I haven’t done a Talking about in a while, but I’m back with another one on a new release by Akmu, called Give Love! I know I’ve been talking a lot about Akmu these past few weeks or so, and I apologize, but this is another awesome song and music video that I really want to talk about! Anyways, let’s get started! Image taken from siesdestino.com. All rights go to the respective owners! You guys are probably really sick of the redundant introduction on Akmu, since I’ve done it quite a few times now, so I’ll go straight to talking about the song and music video! Song: As you guys might know, I’ve already downloaded their album (hehe) and listened to this specific song a few times, and I absolutely love it! It’s so sweet, happy, bubbly, and catchy! 😀 (never too many adjectives!) Great voices and singing! This is definitely a fun song I’ll keep on repeat these days (or weeks.. or month…hehe) I love the instrumentation, and the lyrics are so so cute. This song gets a huge thumbs up from me! Definitely something right up my alley. 🙂 I don’t think there’s a lot more to say about this other than that I really enjoyed it! Music Video: I know I’ve rambled about how much I love the song, but I’m pretty sure that’s going to be the same for the music video because I loved it just as much! It’s a continuation from their other M/V for 200% (clever huh) so it might not be the same effect if you don’t watch it first. Not only was it appropriate to the song, but it was also lots of fun to watch! The music video was super interesting, with all the really pretty shots, the cool effects like the origami tutorials, the Pythagorean Theorem (why was that there? :S) and all this other stuff. I saw the “Tear Here” line on the screen, and I was slightly confused, but I thought it was so clever when I saw what it was about at the end. I loved the beginning of the video where Soohyun is with the (cute) actor and Chanhyuk just gets in the way, haha! 🙂 Other than that, there are lots of hilarious, goofy moments that were more entertaining to watch mainly because it looked so natural, not forced, and the fact that they are siblings probably helps in this haha. They were so playful and at ease that it made me appreciate this video even more, especially considering how much it had to offer to the song. I was quite happy that it worked out well for Soohyun 😉 Oh yeah and the ending is absolutely hilarious haha! It was a creative, interesting, and I loved it! Overall, in case it wasn’t obvious enough in my constant rambling, I absolutely loved both the music video and the song! If I hadn’t downloaded the song already, I definitely would now! 🙂 I’ve recently been very impressed with Akmu, not only with their music videos, but also with their music style, singing, and just overall talent! With the releases they’ve had until now, and the album that I’ve listened to, I can say that I’m very much liking Akmu! What do you think? Do you agree with me? Please let me know in the comments! I’m back with another post! I’ve been really stressed this week, so hopefully writing this post and talking to you guys will make me feel better! 🙂 Today’s post is a Talking about, which I haven’t done in a while, on 100%’s new release called Phone! Click here to watch it. Correct me if I’m wrong, but I believe this release is to finish off their promotions of Beat! What are my opinions? Keep reading to find out! A picture of all 7 members! Image taken from officiallykmusic.com. All rights go to the respective owners! 100% is a group under TOP Media, and although they originally had 7 members, Sanghoon and Minwoo have left the group for the promotions of Beat. They currently are promoting as a 5 member group with Rokhyun, Chanyong, Changbum, Hyukjin, and Jonghwan. They debuted in 2012.